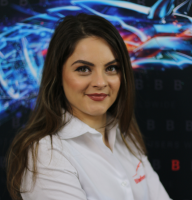 Luana Pascu is a security specialist with Romanian antivirus vendor Bitdefender. After writing about NFC, startups, and tech innovation, she has now shifted focus to internet security, with a keen interest in smart homes and IoT threats. Luana is a supporter of women in tech and has a passion for entrepreneurship, technology, and startup culture.